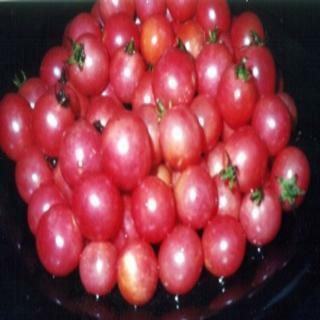 Extremely early, dark pink oblong shape cherry tomatoes grow in low lying sprays. Plants from these seeds are perfect for containers. Heirloom Seed Packet. Preppers take note! Whipper Snapper is perfect for container gardening! This cherry tomato matures in just 62 days, a definite survival seed stash possibility! Fruits are dark pink, oblong shaped cherries. The plant grows in low lying sprays.